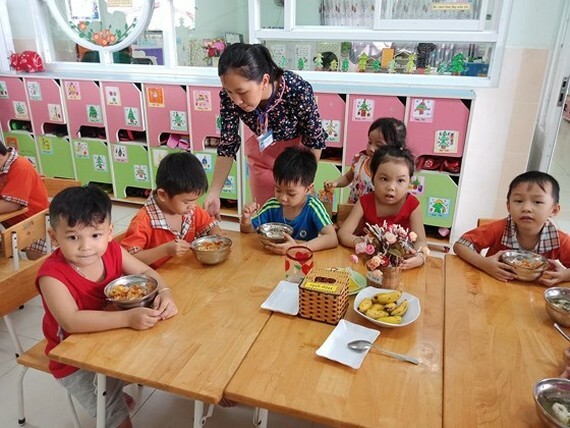 In its document to schools, the Department of Education and Training in HCMC ordered school canteens not to sell carbonated drinks as one of preventive step following recent disease spread. Furthermore, school canteens are not allowed to sell toys and confectioneries without clear indications of origin and no expiry date. All food sold in canteens must have receipt, legal finance invoice and certificate of food safety. Schools were encouraged to liaise with related agencies to check the origin of materials and food provided students in day schools. Additionally, schools should cooperate with parent associations to supervise canteens and outside caterers. The Department noticed that school managers will be held accountable for poisoning cases in schools after investigations proved that the incident is caused by food provided by schools. Furthermore, schools ought to give commitment to order food from certified caterers especially those with Good Manufacturing Practices, Hazard Analysis and Critical Control Points, Food Safety Management Systems Certification ISO 22000, International Featured Standard (IFS) Food, a globally recognized certification (IFS). Education bureaus were assigned to work with health authority and food safety management boards to pay scheduled visits to check food in schools and caterers to prevent poisoning.